My new pup! She's sweet as Georgia tea. 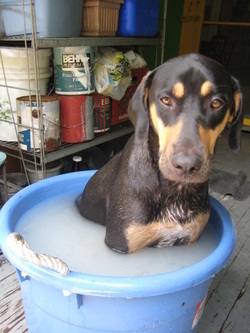 This is her getting an oatmeal bath after rolling in fire ants. I think she preferred the ants to the bath! 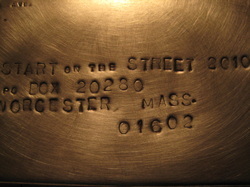 This hand built letter stamped metal envelope, let me win free booth space at "Start on the Street" festival in Worcester Mass.